The Decontamination Platoon, consisting of Marines and sailors with Chemical Biological Incident Response Force, II Marine Expeditionary Force, don their gloves and their gas masks February 4 for training unlike anything they had ever experienced. 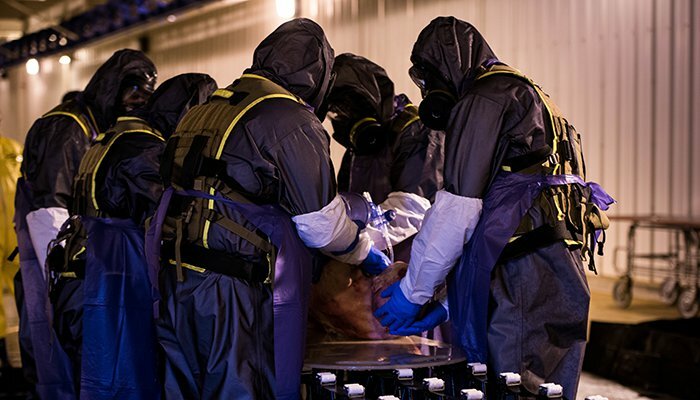 The platoon traveled to Perry, Georgia, to conduct live-agent decontamination using non-transplantable anatomical materials – bodies that have been donated for research and education, otherwise known as NAMs. 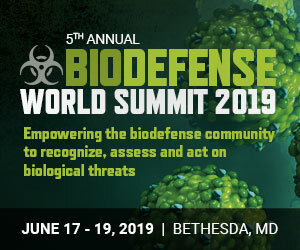 CBIRF is the only active duty unit with the capability to rapidly deploy and respond to any chemical, biological, radiological, nuclear or high-yield explosive incident occurring anywhere in the world. 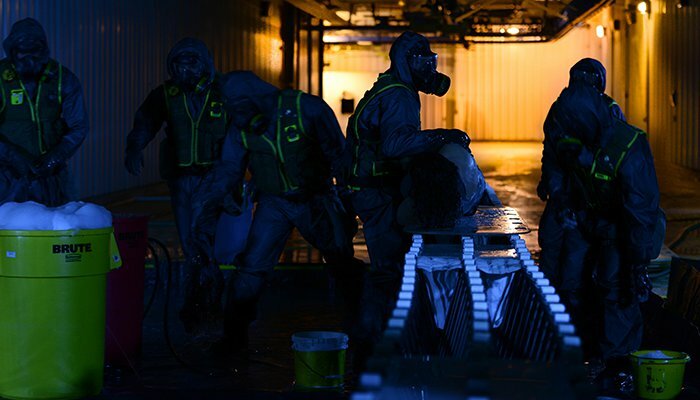 The Decontamination Platoon’s role is to facilitate the decontamination of casualties, first responders, and CBIRF personnel operating in a contaminated environment during a crisis. As the Marines and sailors trained, they were presented with various scenarios, which may arise during a crisis response situation. The Decontamination Platoon received NAMs with gunshot wounds, amputations, burns and other serious medical conditions. 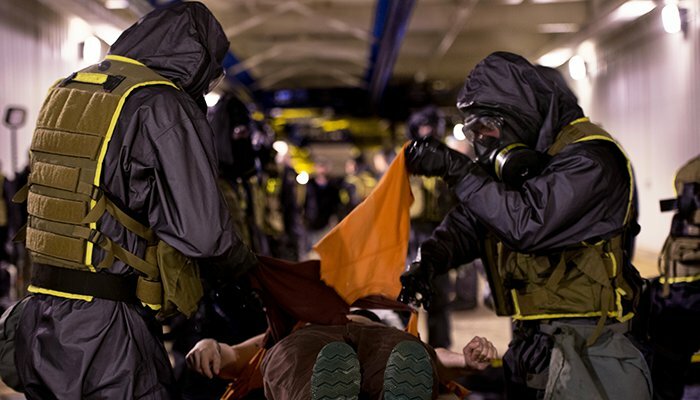 As the clock ticked, the decontamination team had to care for the injuries, while also thoroughly removing all live-agent contamination. “One of the biggest challenges was being able to make the medical decisions that we haven’t really been faced with before, being able to change out tourniquets, notice wounds and different things that might come through on people,” Hartom said. “You realize how the decisions you make could impact the life of that person once they come through the decontamination tent. Leaving their home station of Naval Support Facility Indian Head, Maryland has allowed the Marines and sailors to train to task. 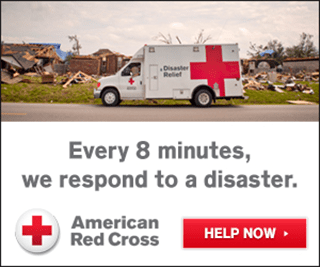 CBIRF trains to respond to man-made and natural disasters, which could potentially harm hundreds of thousands of people. The time spent in Georgia may very well equate to lives being spared in the future. “Having had the opportunity to come down here and do training has been an absolute professional privilege,” Kamm said. “It is not every day that we get to work with anatomical material, and it’s not every day that we get to deal with a live-agent environment, so the bottom line is that what we were challenged with is absolutely invaluable. “Until we’re actually faced with crisis, we’re never going to know exactly what we’re going to have to deal with, but now we know that whatever we experience, we’ll be able to make it work,” said Hartom. Article adapted from original by Fareeza Ali, USMC.